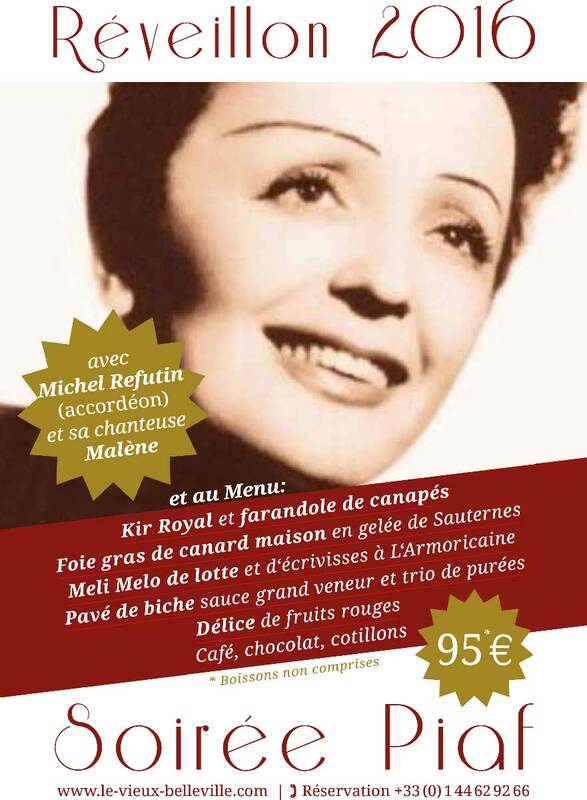 On saturday january 31st 2016, New Year’s Eve night at the Vieux Belleville, with a special menu. Please note that Le Vieux Belleville will be closed on december 24th and 25th, and will be opened on january 1st! Have a look at our evening’s program. ← Le Vieux Belleville, Beaujolais Nouveau!